The Burnside oozes character and from the back tees is a splendid test of golf. Many of the short holes could grace the top links courses around with the 5th and 14th in particular providing dramatic challenges for the player who strives to gain his par 3. It was on this course in 1953 where the great Ben Hogan shot 70 to help him qualify for the Open Championship which he subsequently won. "The Burnside has its own character and charm and is a fine test of golf in its own right - the par of 68 tells you the Burnside is no pushover." 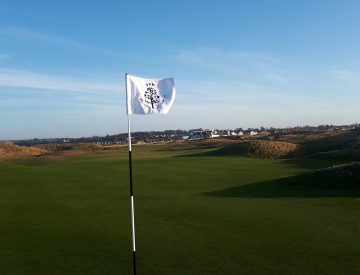 The newest of the three courses at Carnoustie, originally designed by Peter Alliss and the late Dave Thomas on land that was formerly part of the ladies’ course and Ministry of Defence land, hence the reason why the holes are named after battles. The course was opened in 1979. Since then many changes have taken place including the most recent investment in two new holes in 2014 bringing the course up to a very testing par 68. "All the holes on the course are named after famous battles and by the time I came to the 18th, “Rhine,” I felt I’d been in one myself. The Buddon presents a formidable test of accuracy and strategy." Our new facility includes seven state-of-the-art simulator bays. Play the 1st hole of the Championship Course inside before you play the 1st hole outside. Carnoustie Golf Links is an iconic, world-leading golf destination in Scotland and home to ‘Golf’s Greatest Test’. Golf has been played at the Links since the 16th century and it was Carnoustie natives who went on to establish the Professional Golfer’s Associations of America and Australia. 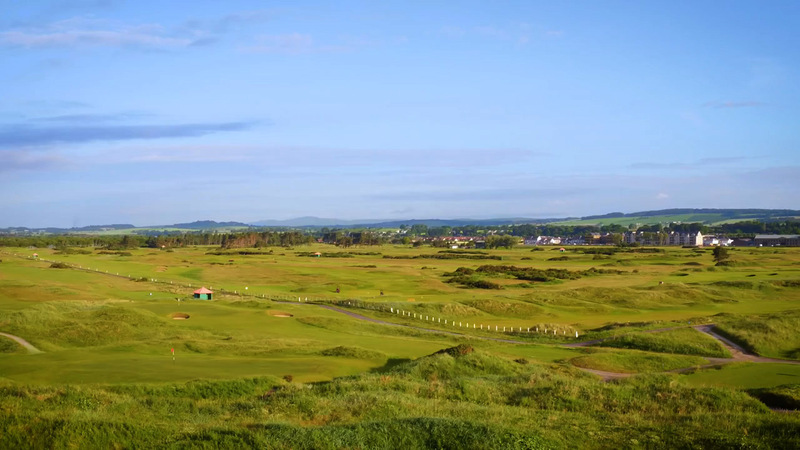 We look forward to warmly welcoming you to play our fantastic three courses, the Championship Course, the Burnside Course and the Buddon Links Course. The Championship Course played host to The 147th Open last year, with Francesco Molinari becoming the 2018 Champion Golfer of the Year. The Championship Course has hosted eight Open Championships, one Ladies British Open and two Seniors Open making it one of the very few to have done so in the UK. It is one of the three courses used for the annual Dunhill Links, the others being Kingsbarns and the Old Course in St Andrews and in 2018 The Open Championship returned to the course. In 2018, the Championship Course was voted Best Golf Course in Scotland over £100 by the general public, the second time it has won the award in the past three years. The Burnside Course oozes character and from the back tees is a splendid test of golf. 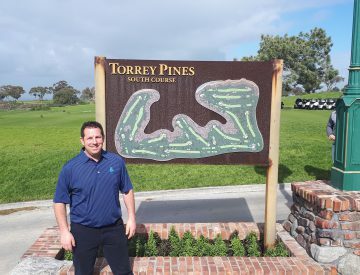 Many of the short holes could grace the top links courses around. It was on this course in 1953 where the great Ben Hogan shot 70 to help him qualify for the Open Championship which he subsequently won. The Buddon Links Course is the newest of the three courses at Carnoustie, originally designed by Peter Alliss and the late Dave Thomas on land that was formerly part of the ladies’ course and Ministry of Defence land, hence the reason why the holes are named after battles. The course was opened for play in 1981.